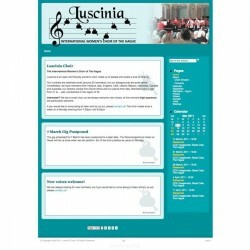 The brand new website we developed for Luscinia Choir is the first we have done completely virtual (remotely). In other words, while based in Valencia, Spain, we have only had contact with the client who is based in The Hague, The Netherlands, via email and Skype during the entire design process and production time. The main purpose of the website is to give the choir a small online presence. They also want to use the website to share documents and to announce upcoming performances with a handy form that friends and family can use to make reservations. For the design of the website we basically had the logo, a color suggestion and the words "simple" and "playful" to go on. We have used the chirping bird of the logo in a couple of different ways. In terms of development we selected WordPress and built a theme from scratch with only a few plugins. 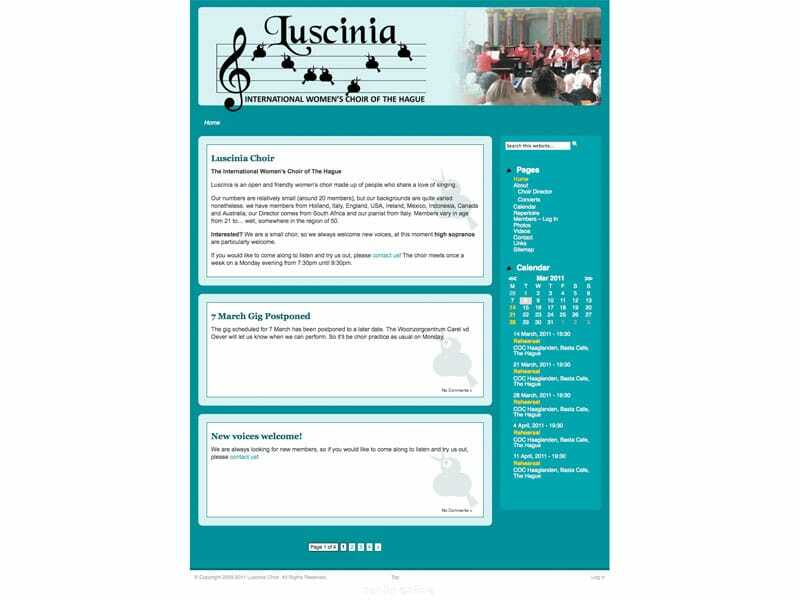 We added Events where people could reserve for and created a "Members Only" section with a separate menu in the sidebar that does not show for website visitors that are not a member of Luscinia Choir. We also added functionality to show a members list that contains the name, address, telephone number, birthday and picture of each choir member.